This member of the Crassulaceae family was described by Raymond-Hamet & Joseph Marie Henry Alfred Perrier de la Bâthie in 1914. 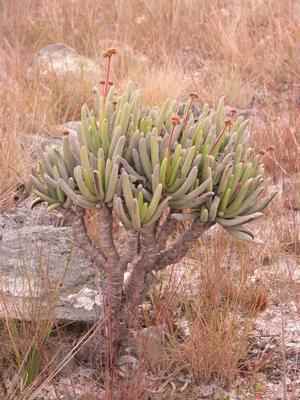 It is found on Madagascar, growing in a well drained soil with little to some water and lots of sun. The thickened stem can grow to twelve centimetres in diameter, the plant can grow to 70 centimetres height. The flowers are brownish red.